Dustin Smith, Integrity's newest worship leader, globally releases the Rushing Waters CD and music video. Rushing Waters comprises original worship music set into a dynamic visual experience. It will leave you overwhelmed by a powerful God who is on the throne and in the room. Any believer would agree that the most anticipated day of all Christians is the second coming of our Lord Jesus Christ. The day when all tears will be wiped away, every sorrow, pain, grieving and loss will be replaced with joy, love and pure peace; when everything will be made brand new, and everyone will just worship Him throughout eternity. Apostle John made a clear account and description of that coming day in the book of Revelation. On the 19th chapter, verse six, he declares: “Then I heard what sounded like a great multitude, like the roar of rushing waters and like loud peals of thunder, shouting: Hallelujah,for our Lord God Almighty reigns!” Inspired by these passages, the song Rushing Waters was born through the heart of Dustin Smith. Serving as the worship leader at World Revival Church in Kansas City, Missouri, this song has already made a very powerful impact across the world. The songs that are captured in this 14-cut latest live worship album from Smith are reflection of how will worship look like there in heaven. Starting with the song Yahweh, its high level of musicianship gives an excitement to the entire song. It describes the power, greatness and the kingdom of God. The pre-chorus encourages us to open up the gates and prepare the way for our King (Psalm 24:7). Accompanied by electric guitar, the people’s participation is well manifested as they sing-out and clap, shouting out Yahweh! With more intensified energy, Let Justice Roll reflects the passages found in Amos 5:24, and as the song ends, Dustin prays in a loud voice a prayer for healing, hope and restoration. Drum rolls that started the prayerful song Let Justice Roll are still present in Never Ending Flood. Dustin describes Jesus’ love, grace and mercy with the depth & waves of a never ending flood. Before the track ends, in an atmospheric moment, he loudly exhorted the Lordship of Jesus Christ in Philippians 2:10-11, that at the name of Jesus every knee should bow and every tongue confess that Jesus is Lord to the glory of the Father—preparing for Jennifer Basler’s singing of the short & ethereal version of the classical hymn All Hail the Power of Jesus’ Name, a prelude to the overwhelming Lord of All. Both are exhortations of Christ’s Lordship. Piano-laced To You Alone and Reign Over Me(co-written with Michael Farren) are perfect songs for devotional/ quiet moments, both are moving and heartwarming; a song of praise and exaltation, and a song of total surrender, respectively. Breathless declares the wonders of our perfect, matchless and indescribable God; it is well expressed by Basler’s strong and powerful voice. Co-written by Dustin and Dove Award winning songwriter Jennie Lee-Riddle, The One That Really Matters (Chaotic Love) is a worshipful ballad, the refrain is extremely powerful & soul-stirring. With the atmospheric title track Rushing Waters and poetic Never Ending Flood, it’s noticeable in this album that there are some nature elements present to describe some songs. There’s the epic chorus Let ItRain composed & sung by Farren and Rain Down on Us, both are songs of thirst & hunger for God’s presence, perfect for soaking sessions. Fan the Flames is a prelude to You are the Fire which encourages us to ablaze for God—our consuming fire. Each of these songs is beautifully crafted and meaningful indeed. 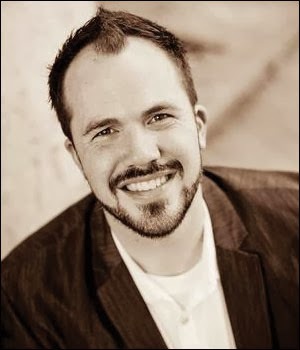 I commend Dustin Smith’s passion for writing biblically-sound and theologically-rich songs. You can see his heart, not just to write “good”, “melodious” and “attractive”ones, but he wants to bring up pieces that will stir up people’s lives through their biblically founded meanings.Captured in this album is just a glimpse of what we’ll be doing for eternity. Empty your heart as you listen to this album and let God pour out His spirit likerushing waters! Shalom! Dustin is a husband and father of three, who grew up in a Pastor’s home and has been in church his whole life. He has seen the joys and challenges of working and growing up in the church, but his dedication to seek the face of the God has caused him to rise as a voice to the nations that increases the value of God in other people’s eyes. Integrity Music is a division of David C Cook, a leading nonprofit global resource provider serving the Church with life-transforming materials. Headquartered in Colorado Springs, Colorado, Integrity’s resources are distributed in more than 160 countries and sold worldwide. Originally founded as a direct-to-consumer music club in 1987, Integrity grew into one of Christian music’s biggest success stories and in the process helped ignite the widespread popularity of contemporary praise and worship music. Integrity Music’s roster includes: Lincoln Brewster, Paul Baloche, Rend Collective Experiment, All Sons & Daughters, Brothers McClurg, Daniel Bashta, Gateway Worship, New Life Worship, Christine D’Clario, ALM:uk, Planetshakers, Worship Central, Brian Doerksen and GRAMMY Award winners the Brooklyn Tabernacle Choir and Israel Houghton.